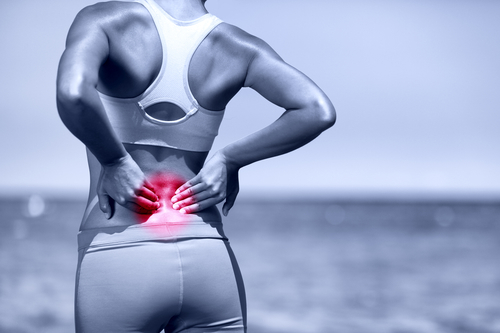 With back pain on the rise there is a huge demand for effective treatments. Sadly, our health care system wants to treat your back pain by prescribing you addictive pain killers or putting you under the knife. Have you ever heard someone say their back surgery made them feel better? Me neither. But there are plenty of examples of back surgery going badly. The good news is that there are alternative ways to treat back pain. But unfortunately there are lots of fake gurus who claim to have a solution, when in reality they just want to take your money. 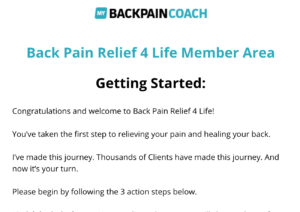 So I was skeptical about Ian Hart's Back Pain Relief 4 Life program. But I went ahead and bought it anyway. This review will tell you all about it. Back Pain Relief 4 Life is a series of instructional videos that claims to relieve your back pain within days. It's meant for you to do from the comfort of your home with minimal equipment. When these issues get addressed, your back will likely feel much better. Healthy movements: As Ian Hart, the creator of Back Pain Relief 4 Life puts it, “movement is medicine.” And there are specific movements that you learn in the program that he says are “medicinal” for your back and the rest of your body. Core strength: A strong core is essential to overcoming back pain. Most of us have weak cores, but even serious athletes can benefit from strengthening their core even further. Back Pain Relief 4 Life works your core in safe but effective ways to quickly build up your strength. Neural adaption: This was a new concept for me, but it basically means training your nervous system to stop experiencing pain by creating new patterns. In other words, it teaches you to “un-learn” pain. The program has some interesting methods for doing this. Increased flexibility: Most people have tight hips that move too little and spines that move too much. This program is meant to help you fix both of these problems. After you purchase Back Pain Relief For Life, you will be taken to the Member's Area where you can access all the coaching materials. You'll want to first watch the introductory video and then visit the Frequently Asked Questions page. These will tell you what to expect from the course and what you need to do to make it successful for you. After you're introduced to the program you can begin fixing your back pain. 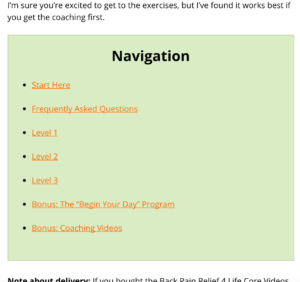 There are three main training video: Level 1, Level 2, and Level 3. The training videos are each about 30 minutes long. The videos will demonstrate a routine for healing your back, strengthening your core, and relieving pain. Ian Hart is a natural teacher and makes it easy for you to follow along at home. Ian recommends that everybody begins at Level 1. Even if your back feels healthy and you're just doing this program for preventive reasons, it's important to get the proper form down and strengthen some of the small muscles in your core that don't get enough attention. If you do have back pain it's especially important to start at Level 1. He recommends you do the routine at least 3 times a week, for at least 3 weeks, before moving on to Level 2. Then you can do the Level 2 routine for at least another 3 weeks before before moving up to Level 3. One of the most difficult things about having back pain is waking up and getting out of bed. If your pain is especially intense in the early morning, the bonus “Begin Your Day” routine will help get you moving again. This 10 minute routine will gently improve the mobility of your main joints: hips, back, neck, shoulders, ankles, and more. Those of you with severe back pain might benefit from doing the Begin Your Day routine before starting the main Level 1 routine. These videos provide essential information for getting the most out of the program. You won't want to skip them. Ian Hart, C.S.C.S. is a health professional and the creator of Back Pain Relief For Life. He is a real person (you can check out his YouTube channel). According to his testimonials he has helped thousands of people overcome their back pain. He personally coaches you in each of the videos. In my opinion, $37 is a great deal when you consider it costs less than 30 minutes with a masseuse or chiropractor (and much less than surgery or medication). Final Verdict: Is This Program Right For You? Back Pain Relief 4 Life is one of the most popular back pain programs on the market, and I think it is a quality program. 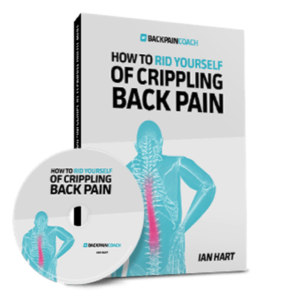 Although it's not as easy to follow as my #1 recommended program for solving back pain, there is a lot of great information packed into this program and it should provide relief if you're willing to follow the instructions. It's not as condensed as I would have liked, but if you have the patience to watch all the videos you will learn some powerful strategies to relieve your pain. One of the nice things about the program is the 60-day money back guarantee. You can try the routine for a few weeks, and even ask Ian's staff some questions, and decide whether it's right for you without risk. If back pain is keeping you from experiencing life the way you want, it's time to do something about it. With the money-back guarantee you can try it without risk, so visit their website today >>www.mybackpaincoach.com<< to learn more.